Forum has been slow for a while. The IHOPR Forum has been slow for a while, understandably with the holidays here our meager membership has other things to do. 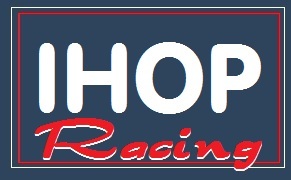 After the first of the year things will pick up, this forum will be the only place to find information about my upcoming racing series, and profiling the cars involved. I'm not going to explain the reasons why I am no longer a participant at the Hobbytalk Forum, those of you who have followed this dilemma know full well the reasons for this departure. What I will say is that it's my goal to make this forum a nice little niche for those who want to talk about the pancake armature cars, share information and not have to be concerned with seeing vulgar language or irresponsible behavior. If it does happen it will be dealt with swiftly and the member will be banned for life. The content in this forum is intended for hobbyists of all ages, as the main administrator here it's my job to see that anyone regardless of age be allowed to read without concern the postings of our members. In doing so I only hope I can avoid what I feel are shortfalls on other forums. Re: Forum has been slow for a while.